“I first made Mb’s acquaintance through the recommendation of a fellow doula. I had asked her advice regarding a birth client that was very forthcoming about her survivor status. Although I was thankful that my client was able to share her story with me, I wasn’t sure how to make use of that vital information in my work with her. I was at a loss. I wasn’t sure how to help her but more importantly I didn’t want to unknowingly do more damage in my ignorance of the issues. I contacted Mb. and she was so generous with her time, talking to me by phone and corresponding by email. She recommended I read her book, The Birth of Magdalena which was as helpful as it was inspiring. In talking to Mb she helped me to get a good overview of the issues and potential factors at play and especially the type of language that I would want to use in respectfully communicating about these matters with my client. Through the information and skills that she passed on to me, I was able to confidently join with my survivor client and support her through a successful vaginal birth that she felt she was in complete control of. 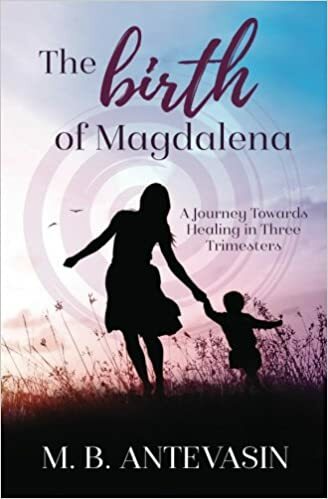 The new mom reported that it was a very healing experience as preparing for birth and the labor process bought back so many memories and troubling feelings and triggers. Together we found a way to talk about them, process them and manage them so that she and her husband could enjoy the present moments in the incredible job of becoming a family. I subsequently attended an all day Birth Support for Survivors workshop run by Mb. and the information presented and discussed with a wonderful group of birth professionals proved to be even more helpful. Looking back on my previous work I realize that some of my clients exhibited signs that they were also survivors, perhaps not far enough along in their healing to talk openly about it with me. It put many seemingly irrational reactions into context. I wish I had been able to read the signs back then in order to be more helpful.